MINI WRC Team stars Kris Meeke and Dani Sordo will recreate history when they take part on a selected programme of world championship rallies this year. They are planning to carry numbers 37 and 52 respectively on their MINI WRCs, which will be painted red with white roofs, the marque’s traditional rally colours. MINI’s first competitive appearance in the WRC will be on Rally d’Italia Sardegna, which is scheduled to run from 5-8 May. Providing the plan is ratified, Northern Irishman Meeke will run as number 37 with Spaniard Sordo carrying number 52. Meeke’s legendary countryman, Paddy Hopkirk, used number 37 when he won the Monte Carlo Rally in a Mini Cooper in 1964. When Mini made it back-to-back wins in the Principality with Timo Makinen the following year, the Finn ran as number 52. MINI recently ramped up its preparations for its WRC debut when Meeke and Sordo conducted an endurance test in France. Both drivers were told to drive the Prodrive-developed MINI WRC to the point of mechanical failure in an effort to assess the durability of key components. Sordo’s running took place in dry conditions, which enabled the ex-factory Citroen driver to carry out some high-speed testing. 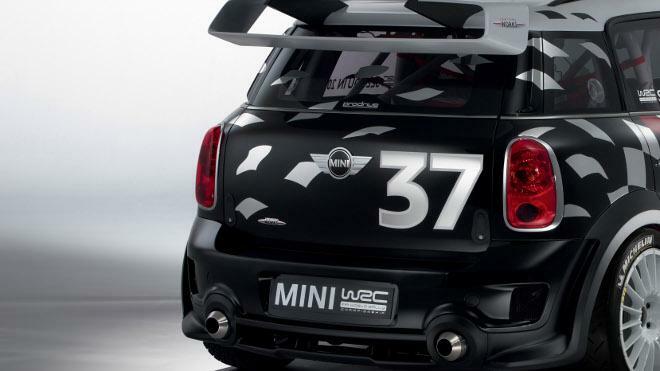 MINI is set to formally launch its WRC bid at its Cowley manufacturing plant in Oxford, UK, on 11 April.